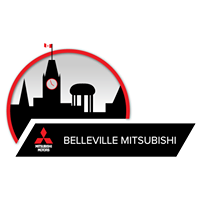 Welcome to Belleville Mitsubishi. We are proud and excited to have the opportunity to show you our dealership, tell you about our departments and services, and help you learn more about the BEST BUILT, BEST BACKED brand in the world. My staff and I are dedicated to making your MITSUBISHI ownership experience as pleasing as possible. We operate with one goal in mind: 100% customer satisfaction. This commitment will help us grow and become the best Mitsubishi dealership in Ontario. We sell and service exceptional vehicles and believe our customers deserve a dealership experience to match, from courteous, no-pressure sales to efficient, state-of-the-art service. Our goal is to be our customers' dealer for life. We're proud of the number of people who come back to us time and again, and recommend us to their friends and family.